George Ford loves to fly. He loves flying so much that he shares his flights with the world on his popular Youtube channel, which features videos from the cockpit taken around the country and the globe. Ford is an active and passionate pilot and member of the West Coast Ravens, formation flyers featured at many airshows and flyovers. They also fill in for the local Air National Guard when they are unable to fly over a memorial service. Like every great pilot, Ford is always looking for ways to improve flight performance on his Vans Aircraft RV-8 to make flying in these events even easier. 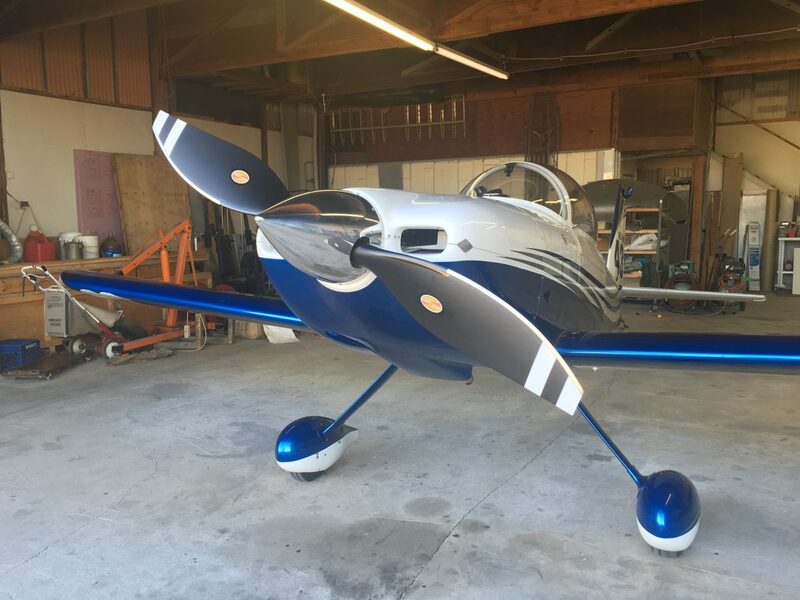 He first heard about the gains that could be had with a Hartzell propeller from another pilot, and reached out to the Hartzell team for more information. Ford met up with the Hartzell team at the Oshkosh Airshow, where the West Coast Ravens were among the 30 ship opener. Ford and the Hartzell team talked about his aircraft and existing propeller setup, as well as the performance gains Ford hoped to achieve. After the meet, Ford was convinced this was the right propeller for his aircraft, and ordered a prop and spinner approved for mounting on his RV-8.